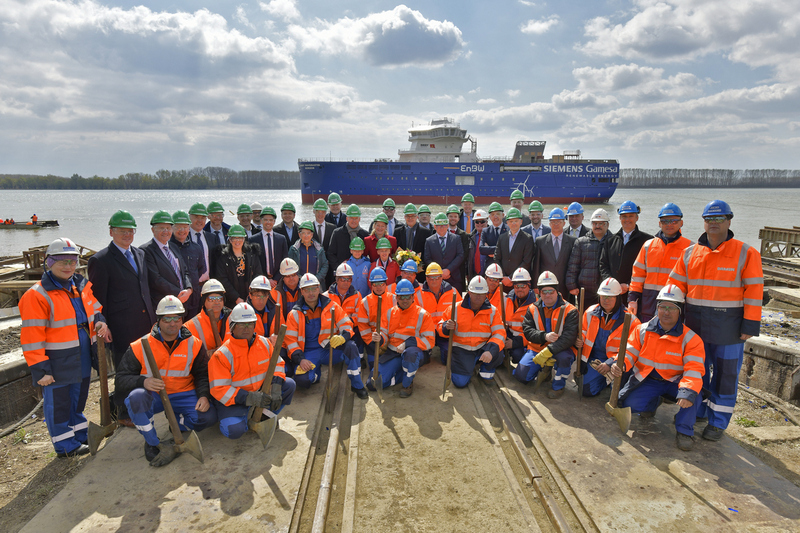 On March 29th, Damen Shipyards Galati in Romania launched Bibby Marine Services’ second Service Operations Vessel (SOV) 9020. During the same event, the vessel was officially named Bibby WaveMaster Horizon. Upon delivery later this year, the SOV will begin maintenance work on two EnBW and Enbridge-owned windfarms in the German North Sea – Hohe See and Albatros – for Siemens Gamesa Renewable Energy and EnBW. Damen developed the SOV 9020 vessel following close consultation with the offshore renewable energy industry. The design combines walk-to-work capabilities with DP2 and an innovative hull along with a revolutionary interior and comprehensive features ensuring maximum efficiency of operation. 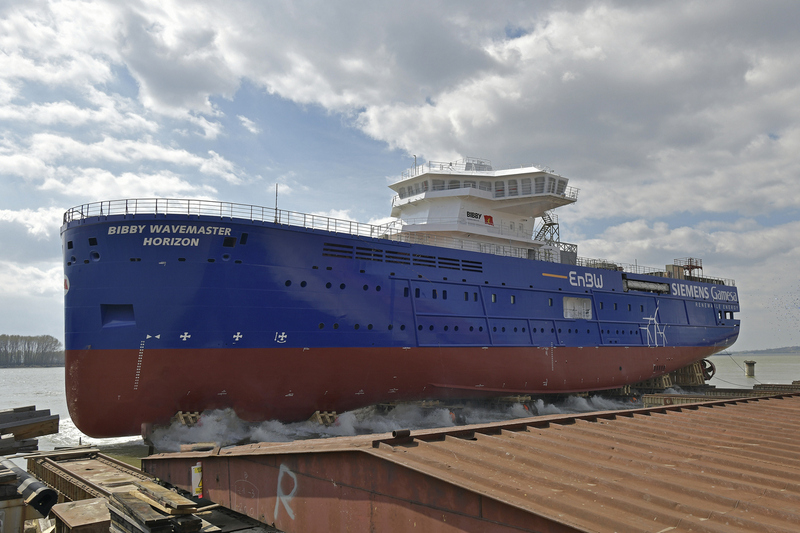 Damen began construction of the second SOV at the same time as the first vessel, the Bibby WaveMaster 1. This meant that, when Bibby Marine Services and Siemens Gamesa confirmed their contract at the end of 2017, Damen was able to accelerate construction rapidly. “This is one the principal benefits of Damen’s philosophy of standardised shipbuilding,” explains Damen sales manager Arjen van Elk. “Building in series means that we are able to deliver reliable, proven ships in the fastest possible timeframes, at competitive prices. The godmother of the Bibby WaveMaster Horizon was Mrs Mirna Robert-Du Ry van Beest Holle, wife of Damen’s Director of Special Projects Peter Robert. Peter, as then Director of Business Development at Damen, was instrumental in the development of the SOV 9020 from its inception.